We know that preparing a newsletter or mailing is a big job and the last thing you want to do is struggle with applying a Wafer Seals mail tab. 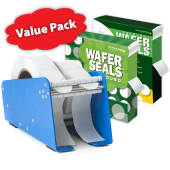 Using a Wafer Seals Dispenser is convenient and faster than pulling mailing seals off a roll. Plus, the seal is always ready, and right at your fingertips. No more tearing off strips of Wafer Seals or holding a box of mailing seals in your lap. Your volunteers will thank you for that helping hand! 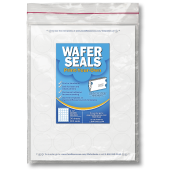 Order a Wafer Seals Dispenser today and prepare your mailings and newsletters faster and easier using Wafer Seals than ever before! 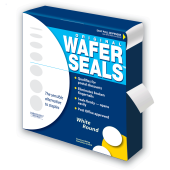 We offer 2 Wafer Seals Dispensers. Our 3-inch-wide base dispenser holds and dispenses two 1-inch rolls OR one 1-inch roll and one 1.5-inch roll at a time. Our 4.5-inch-wide base dispenser holds up to three 1-inch rolls OR two 1.5-inch rolls at a time. Both dispensers are made of heavy duty metal and include non-slip feet to ensure that they stay put and won’t tip over while dispensing your Wafer Seals. 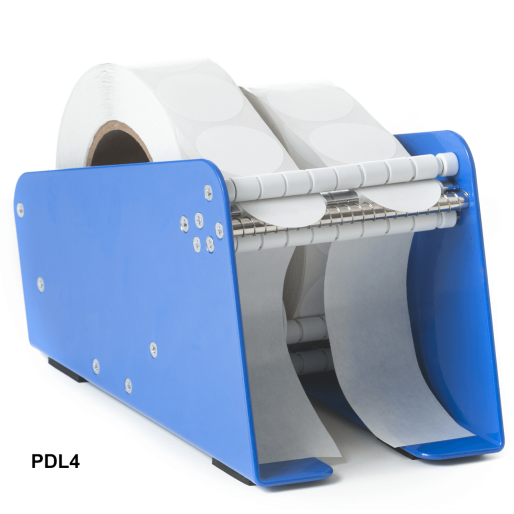 Includes a plastic roll separator for multiple or smaller rolls. 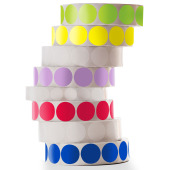 Holds and dispense two 1-inch rolls OR one 1.5-inch roll at a time.